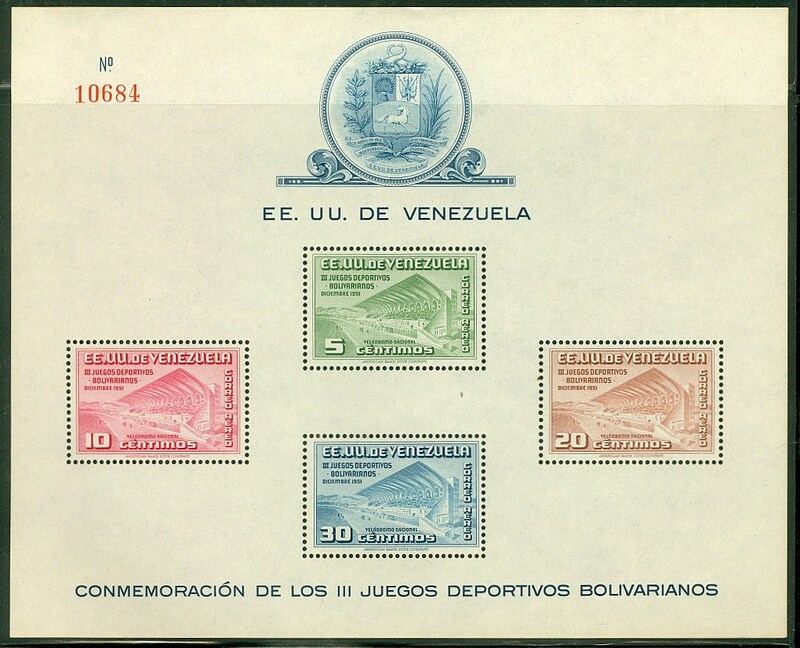 In 1951, Venezuela issued a souvenir sheet celebrating the Third Bolivarian Games (Scott #C337a). 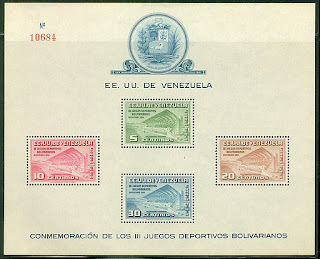 The Bolivarian Games are a regional multi-sport event held in honor of Simón Bolívar, and open to athletes from Bolivia, Colombia, Ecuador, Panama, Peru and Venezuela. 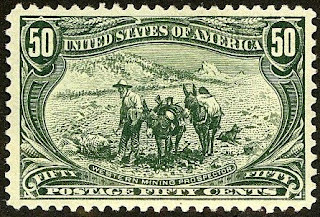 20,000 of the souvenir sheet were issued, and Scott '12 prices it unused at $20.00. 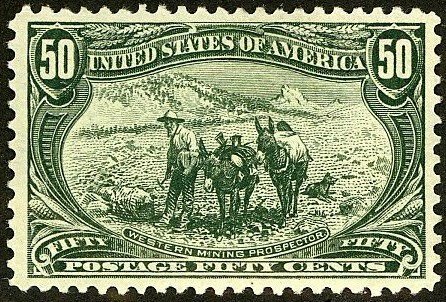 Aside from its appeal to collectors of Venezuela and Latin America in general, the souvenir should also do well as a Sports topical. The sheet is large and was issued on thin paper, so when purchasing it, ascertain that is free of bends and creases.